Liferay 6.1 introduced the concept of page customizations. Administrators can designate public pages or sections of public pages to be customizable. When a user visits such a page, a notification will appear stating that the user can customize the page. Users can make customizations only in the sections of pages designated by administrators. Customizations are based on the rows and columns of a page layout. Page customizations are only visible to the user who made the customizations. By default, site members can make page customizations but non-site members and guests can’t. To enable page customizations as an administrator, first navigate to the page you’d like to let site members modify. Then select Manage → Page Customizations from the Dockbar. Figure 6.1: To enable page customizations, select Manage → Page Customizations from the Dockbar. Once you’ve selected Manage → Page Customizations, you’ll see one or more red regions, depending on the layout template of your page. Check one or more of the Customizable boxes to allow site members to customize certain sections of the page. Regions that you’ve designated as customizable are colored green. 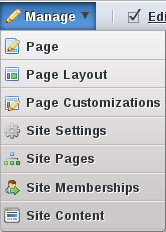 Figure 6.2: Check one or more of the Customizable boxes to allow site members to customize certain sections of the page. When site members visit your customizable page, they’ll see a notification saying, “You can customize this page.” Site members can toggle between viewing their customized page and viewing the default page by clicking the View Default Page or View My Customized Page links just below the Dockbar. There’s also a Reset My Customizations link that restores a user’s customized page to the match the default page. This allows users to discard one set of customizations and start a new set without having to manually undo each customization that they’d previously made. Note that non-administrator site members can access the Add menu from the Dockbar when viewing their customizable page even if they don’t ordinarily have permission to view this menu. This allows them to add portlets to the sections of the page that they’re allowed to customize. If they click View Default Page, the Add menu will disappear from the Dockbar since they’re not allowed to modify the default page. Figure 6.3: Non-administrator site members can customize their own versions of customizble pages but can’t modify the default page. Administrators of customizable pages have the same two views as site members: the default page view and the customized page. Changes made to the default page affect all users, whereas changes made to the customized page affect only the administrator who made the changes. Changes made by administrators to non-customizable sections in the default view are immediately applied for all users. However, changes made by administrators to customizable sections do not overwrite users’ customizations. Remove the Hello World portlet remove from the right column of the page. Add the Language portlet to the right column by clicking Add → More in the Dockbar, expanding the Tools category, and clicking Add next to Language. Configure the Language portlet by clicking on the wrench icon and selecting Configuration and then opening the Display Style dropdown menu and choosing Select Box. Figure 6.4: In this example, Joe Bloggs removed the Hello World portlet, added the Language portlet, and changed the display style from icons to a select box. To allow users to customize a page, administrators must grant users permission to Customize pages under the Site section. This can be achieved by assigning permission to a role, then assigning this role to the appropriate users. For example, if we want any logged user to be able to customize our customizable pages, we could assign the Customize permission to the role User. If we want site members to be able to customize the customizable pages of their sites, we would accept the default setting. By default, the Customize permission is assigned to the role Site Member. In addition to granting the ability to customize portlet configurations, the Customize permission allows users to customize the look and feel of portlets and to import or export portlet settings. Next, let’s look at how to use Liferay’s rules engine.